The University of Minnesota Minneapolis campus sits just across the Mississippi River from downtown Minneapolis. 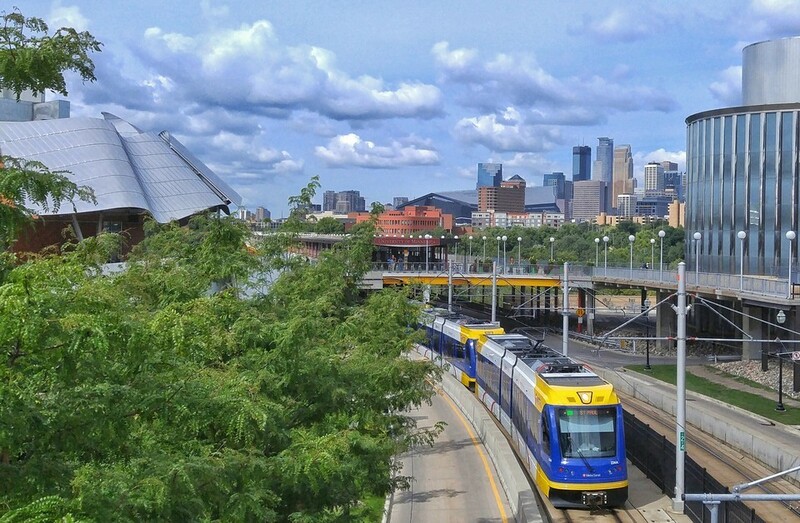 Saunders lab is adjacent to a slew of campus amenities, as well as bike paths and public transportation for access to the rest of the Twin Cities. We are looking for enthusiastic scientists to join the team! Please see below for details and send inquiries to bts@umn.edu. Potential technician candidates must have a bachelor's degree in neuroscience, psychology, or related life sciences field. Previous research experience is required. Strong communication and organizational skills and the ability to work unsupervised and interact effectively with all lab members are important characteristics. A keen eye for detail and flexibility is also expected. Previous neuroscience-related research experience is required. Previous experience with rodent behavioral neuroscience research is desirable, but not required. Technicians are responsible for basic lab management tasks, such as maintaining lab order and cleanliness, ordering supplies, and maintaining equipment. They also will complete research studies with rats and mice, maintain animal breeding colonies, analyze behavioral and neural data, and generally engage with other lab members about research. Potential candidates must have (or will have by time of start) a PhD in neuroscience, psychology, biomedical engineering, or related field. Applicants should have a strong record of graduate research, including first-author publications in neuroscience and/or behavioral science journals. A history of graduate-level fellowship funding is desirable. We are especially interested in candidates with research expertise in either rodent behavioral procedures of motivation and addiction-related questions, and/or neural circuit techniques (opto/chemogenetics, viral-based anatomy, calcium imaging, etc) in general. A computational/programming background is also highly desirable. Post docs in the lab will work within the lab's research domain, but ideally they will lead projects that are driven by their own research backgrounds, and have the opportunity to mentor and oversee others in the lab in the process. We will work together to design projects that allow post docs to acquire and extend the skills necessary for moving on in the career path of their interest. Those interested should contact bts@umn.edu with a CV, a 1-2 page statement on your research experience and plans for postdoctoral research as you see them fitting in with the lab, and the contact information of 3 people who can provide a detailed reference letter. Saunders Lab is currently accepting rotation students from the University of Minnesota Graduate Program in Neuroscience. Potential students should contact Dr. Saunders at bts@umn.edu. If you are applying to graduate school right now and are interested in the lab, please get in touch! Undergraduate students interested in the lab should email bts@umn.edu to inquire about openings. Please send your CV, a brief statement about your research experience and interests, and details on your daily/weekly availability to work in the lab. We will begin accepting students in June/July 2018.